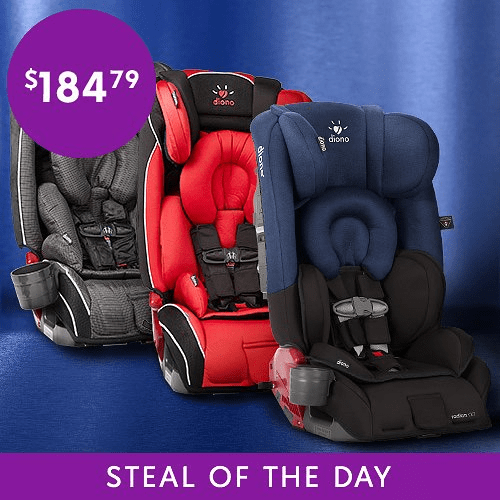 Here is a nice deal to check out on a highly rated car seat. Zulily is offering the Diono Convertible Car Seat for $184.79! This normally sells for $359.99. They have a few different ones to choose from. This is a today only and while supplies last sale. Rear-facing weight capacity: 5 to 45 lbs. Forward-facing with harness weight capacity: 65 lbs.